Finding cheap accommodation can be tricky in London so I thought I would provide a guide to the best hostels in London. Find the best hostels in London for partying, best hotels in London for couples or even the best hotels in London solo travellers as well as for older travellers and families. We will also look at hostels in London near Heathrow, near Victoria Station, hostels in London with private bathrooms in the room as well hostels in many parts of London. Below are some of my local recommendations of London’s best hostels which include hostel prices, in addition to that I have also detailed what tourist attractions, how to access the airports and facilities they offer. London hostels offer a great way to visit the city without breaking the bank and most are not your typical hostel. Many are in great location, offering cool and chic places to stay in London, and a great place in the city to base yourself while exploring. With all that is on offer, you would think London hostel prices are ridiculously expensive, but they are not. Beds start from under £10 in central locations. Many of the London hostel prices range from around £7 to £22 per night. This includes some of the hotels in central London too. Although the more central the higher the price. If you don’t mind staying a little further than central London you can find hostels for £7 or £8. Hostels like Hostel Ordnance in Greenwich, Venture hostel in Lewisham and Kensal Green Backpackers Hostel Kensington and Chelsea are all around £8 or £9. If you are looking for the cheapest hostels in Central London below are a couple of the cheap hostel located in central London. By cheap I am basing this on prices below £15 a night, although most will be around £10 or £15 a night. For 5 days most will range from around £50 to £70. 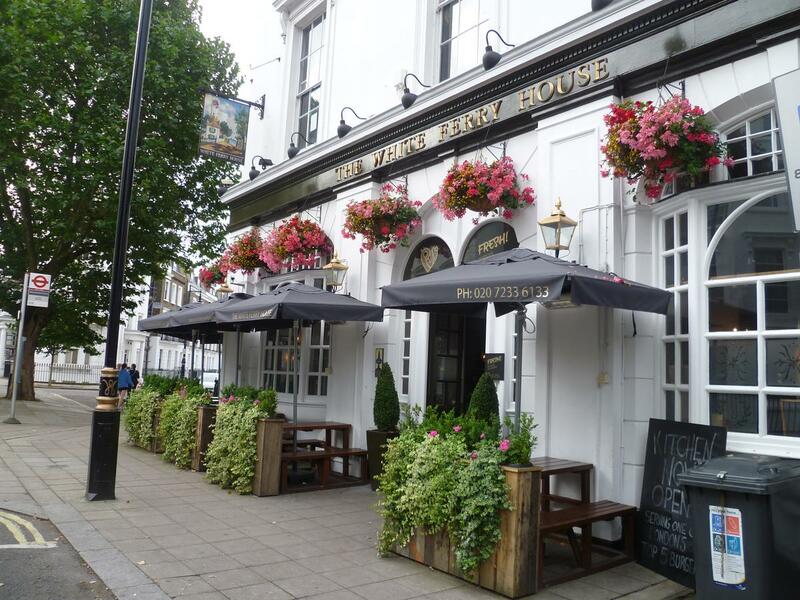 PubLove @The Steam Engine Waterloo – Centrally located and close to tourist attractions. Prices for 5-day stay are around £65 and £13 per night. Dover Castle Hostel – Located a short walk from London Bridge and easy transport links too. Prices per night are around £72 for 5 nights and about £14 a night. 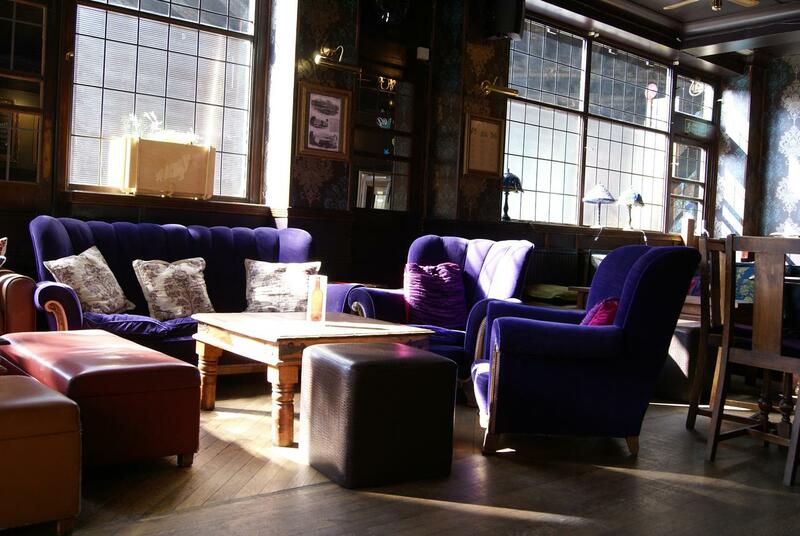 The Dictionary Hostel – Located in Shoreditch within easy reach to Liverpool Street and London Bridge. Prices for this one are around £79 and around £15 per night. Living in an expensive city like London, as a local, I thought I would share with you my tips on the best hostels in London, also including what near them so you can make the most of your stay in London. So whether you are looking for hostels in London for students, or the best hostels in London with private rooms the list below covers affordable hostels in Victoria, Hyde Park, Central London, Waterloo, Victoria, Soho and those with easy access to London airports. Hostels In Central London – Providing easy access to London attractions, the majority of which are within walking distance. Hostels in London Soho and Hyde Park – Perfect if you have to have easy access to Oxford Street shopping, as well as an attraction in the Westend and Westminster like Buckingham Palace, Trafalgar Square, Covent Garden. 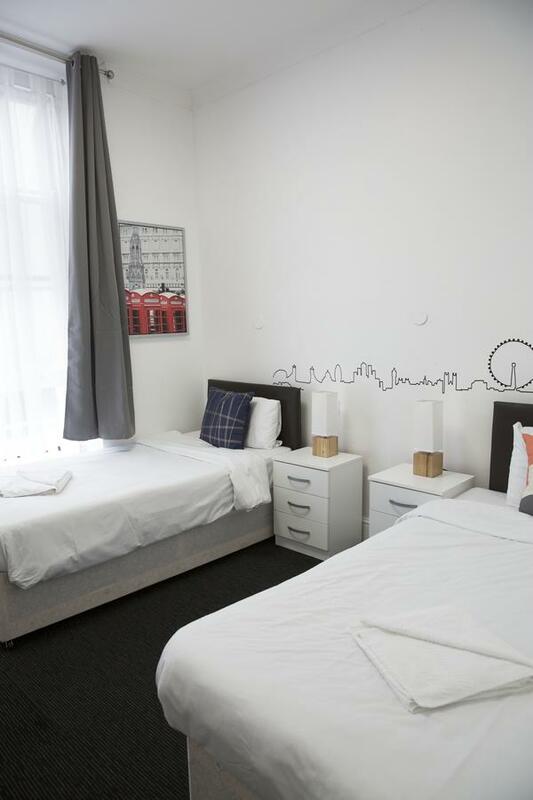 Hostels London Waterloo – Inexpensive hostels offering walking distance access to London Eye, Big Ben, Trafalgar Square, London Southbank. Hostels in London Kings Cross – Offering great access to the British Museum and Eurostar for trips to Paris, Brussels and Amsterdam. Hostels In London Victoria – Great access for London coach services in and around the UK as well as coaches to France and other European destinations. Buckingham Palace is also close by in addition to easy access to both Westminister sights like Big Ben and London Eye. You also have Hyde Park close back as well as Marble Arch Oxford Street with plenty of shopping. Where is it: You will find this little boutique hostel in London’s Swiss Cottage. This is one of the best hostels in London for couples as this little gem offers private rooms in the hostel for £38 and shared rooms start from £18. Yes, just in case you are wondering there is a Swiss Cottage in Swiss Cottage but that has now been renamed Ye Olde Swiss Cottage which now serves as a pub with a lot of history attached. 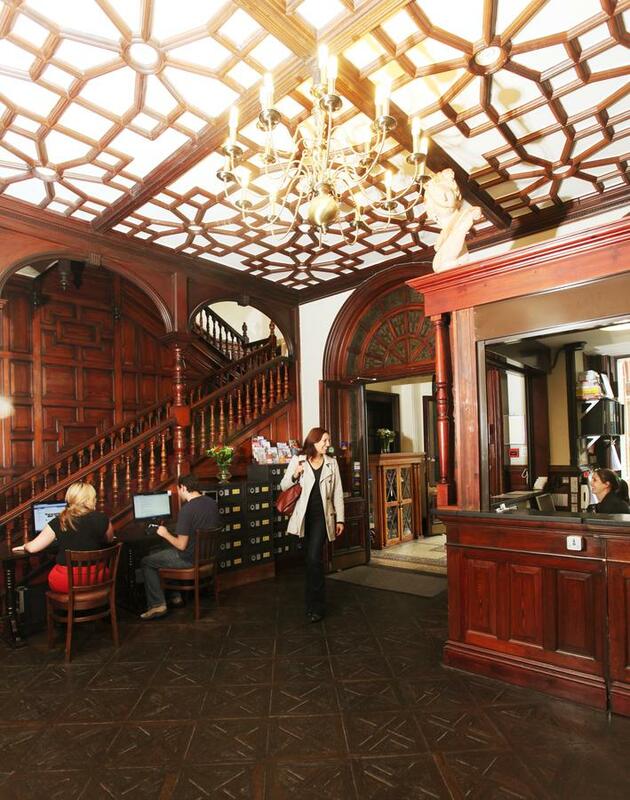 Among other things, Palmers Lodge Hostel is one of the best boutique hostels in London. Also, check out the Palmer Lodge’s Willesden Green Branch if this one is sold out. Why should I stay there, What tourist attractions are near this London hostel: Have you heard of Camden Town Market? Well, that is a short bus ride away, unless you want to walk 30 minutes to it. Camden Market is filled with everything from Vintage shops for comic, designer vintage shops for clothes, bags and shoes to art, modern jewellery and did I mention the food?? There are food stalls, bars and restaurants, some of which come with live music that it will be enough to keep you busy for a day or two. Also, nearby is Madame Tussauds which seems to draw in tourists from all around the world who want to take selfies with celebrities of the still kind. Sherlock Museum is also close by together with the beautiful Regents Park if you love a bit of nature with your travels. The beautiful Regents Park also features a secret garden. If you are looking for hostels in London for older travellers Palmers Lodges is a great option as they over great private accommodation, they also offer double beds, private ensuite bathroom facilities and a secure locker in every bedroom. Palmers Lodges is also great for those looking for hostels for couples as they do private rooms with double beds. Where is it: You will find St Christopher’s Hostel in London’s bustling Liverpool Street. There is no way this hostel was not going to be featured on London’s best-located hostel. You could find a better location in where to stay in London than the location of this hostel. Firstly its only located 5 minutes from Liverpool station. Perfect if you are flying in/out from Stansted Airport as trains come into Liverpool station(still great from any other airport but even better for those using Stansted Airport). They also offer free breakfast, free wifi and beds start from just £15, making this among the best budget hostels in London. St Christopher’s Inn also has branches in Amsterdam, Barcelona, Berlin, Bruges, Copenhagen, Paris, Prague, Edinburgh and many more cities. Why should I stay there, What tourist attractions are near this London hostel: St Christophers Inn Hostel is one of the best hostels in London city center as you cannot get any more central than this. Also perfect if you are looking for hostels near Liverpool Street Station. Have you seen all the #DuckandWaffle hashtag on Instagram? Well, Duck and Waffle are on the 40th floor of Heron Tower(next to Liverpool Street Station) where many have enjoyed breakfast and brunch with a spectacular view of London. The elevator up is also something worth sampling in itself. The hostel is also well located for many tourist attractions. You have Old Spitalfields Market, you have the famous Brick Lane Market and free street art tours in Shoreditch. The whole of Shoreditch has come very much a hip scene with folks in recent years. 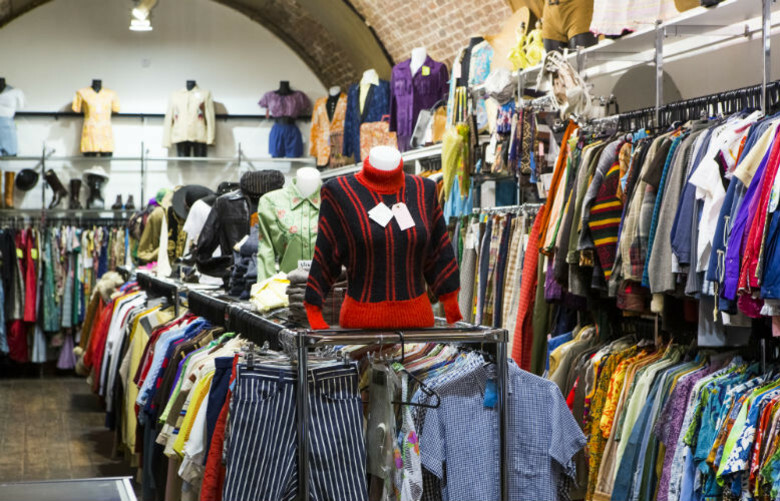 You should also include shaking out BoxPark with its pop up shops and food stalls. If you are during the Christmas period also check out the Broadgate Ice Rink which seats next to Liverpool Street Station. Here is more on Top 10 Things to Do in Liverpool Street while staying at St Christopher’s Inn. Where is it: Another hostel group with many branches around Europe. This one has branches in Berlin, Budapest, Vienna, Munich and London. Check them out via here. Wombats Hostel is one of the best hostels in London in terms of location and proximity to London tourist sites. This is among hostels in central London. It’s new to the Wombats hostels but the building it’s in has always been a hostel. The location of this hostel is also a perfect example of where to stay in London as its close to quite a few major tourist sights in London. It used to be a Hostel for Sailors and seamen of a time gone. This is now a cool hostel for travelers of all kinds from backpackers to daytrippers. Wombats City Hostel offers free wifi, 24hr reception, laundry facilities, kitchen, a bar, luggage store and beds start from £23. Why should I stay there, What tourist attractions are near this London hostel: Another London Hostel in a great location. Within walking distance to Tower of London, the beautiful Tower Bridge, Shard Viewing Deck is nearby If you are visiting during the Christmas season you can also enjoy the ice rink next to Tower of London. The beautiful Katherine’s docks are tacked away around the corner from the hostel. You also have amazing transportation nearby sitting between Tower Gateway and Shadwell DLR stations. Also within easy reach to London’s city airport serving many European cities. A short walk to the Thames and you can catch the river tour boats. You can also catch the MBNA Thames Clipper to Greenwich for markets, and plenty of tourist sights light the Naval College, Maritime Museum and the Observatory overlooking beautiful Greenwich Park. For more one getting the most of Greenwich check out my post on Top 10 Things to Do In Greenwich Village. Where is it: Another hostel in London the is in the best location as it doesn’t get any better than this! This little gem is on the corner of Borough High Street a stone’s throw from London Bridge. You come of the hostel and you can see the Shard! It seriously doesn’t get any more central than that. You have London Bridge and Borough High Street stations making commuting in London a breeze. The Thames River is also a short walk away also making it easier to catch the boats on the River whether for tours or just getting around London on the Thames Clipper. Borough High Street Station the closest station and only a few steps from Dover Castle Hostel. Dover Castle Hostel is easily one of the best hostels in london for solo travellers as they host a lot of activities to meet people. They also offer private rooms and shared rooms. Considering how close the hostel is to tourist attractions it’s surprising how economical the prices are. Rooms start at £15 and they also offer longer staying guests private rooms in house shares and flatshares which is arranged via their Dover Castle flatshare agency. There is live entertainment, free wifi, a guest kitchen, laundry facilities and free luggage room. Why should I stay there, What tourist attractions are near this London hostel: As I mentioned that location doesn’t get any better here. Located in located in Borough with best hostel bars London, it is also just a few minutes walk to London Bridge and London’s Southbank with close proximity to major tourist attractions, such as the Tower Bridge, St Paul’s Cathedral, London Southbank, Tate Modern and the London Eye all within ear short. What doesn’t that mean? That means you save even more on transportation costs as all of this places can be reached within 30 minutes walk or under. Borough market is 5 minutes walk where you can international foods if a good ol’ English Breakfast doesn’t fill you up. Head over to my post on Breakfast at Borough Market for more on what you can expect to see. 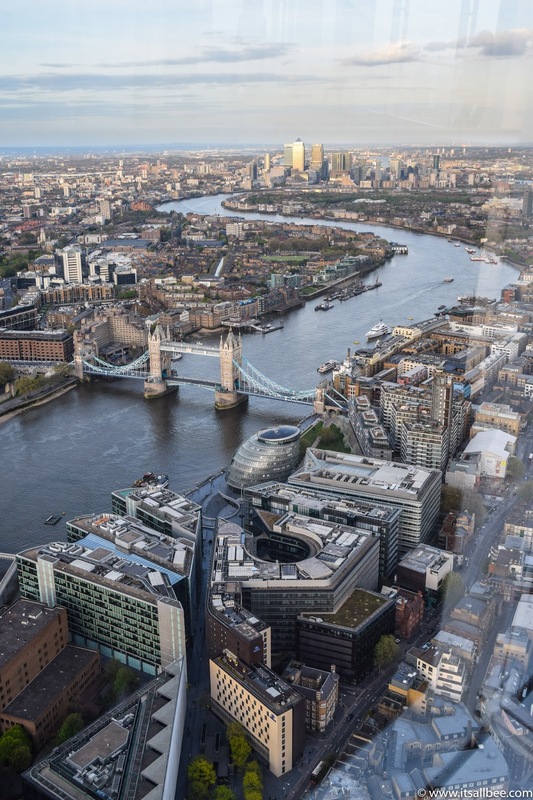 The Shard View Deck and Sky Garden in the Walkie Talkie building are both close by and over London’s best views in town! Check out the links to them but I also have another post on 5 of London’s Best Viewing Decks. As I mentioned at the beginning about Christmas shopping in the London, you also have New Change Shopping Mall near by together with some of the cities shops just a short walk from the Hostel in addition to London Bridge station nearby offering a quick ride to Stratford’s Westfield Mall. Where is it: The image above gives you a major clue in its location. St Christopher’s Inn Hostel lies under the watchful shadows of the Shard. Location is so central it’s ridiculous! You are paying silly money and are in the best of locations with tourist attractions all within a stone’s throw. You have London Bridge Station, Borough Station, and Bank Station all within a short walk(London Bridge and Borough Station are only a few steps away on either side of the Hostel). This makes access to other parts of London super easy as well as the trip to and from the airport. St Christopher’s Inn has branches all over Europe so finding a hostel in Edinburgh, Berlin, Budapest, Barca and Bruges is all a breeze with Booking.com. 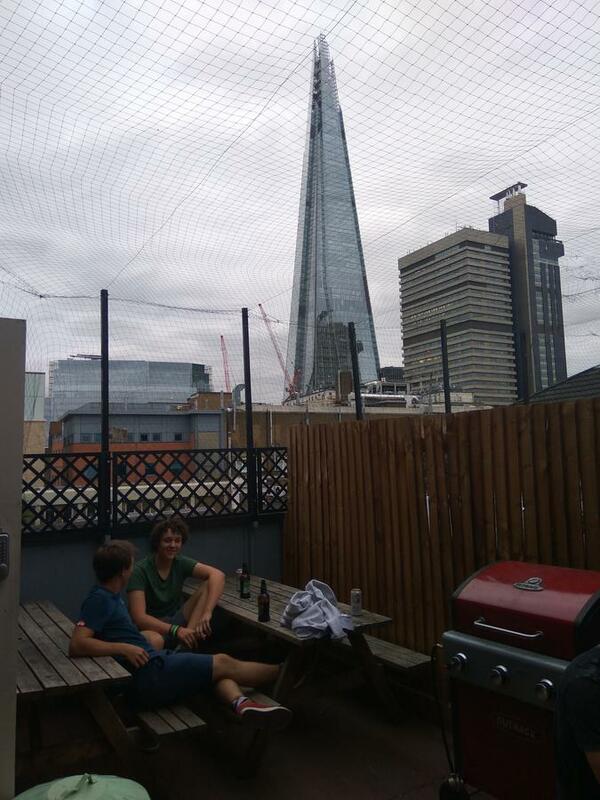 Why should I stay there, What tourist attractions are near this London hostel: The hostel is a short walk to the Shard and Sky Garden viewing decks, which I have linked above offering London’s best views in addition to a plethora of tourist sights at your door step. You also have Tower of London right by the river. Did I mention this hostel is a short walk to the Thames River Walk? Yes!! That means easy access to Tate Modern, St Pauls Cathedral, London Southbank with all it’s riverside attractions, Tower Bridge and its newly opened Sky Walk are all within reach two by foot, again less money spent on transport leaving you to spent that money on food an shopping in the heart of the city or a Dining Experience on the Thames with with a loved one on the. If you are looking for the perfect hostels in London for partying and nightlife check out the other St Christophers Inn Shepherds Bush branch. You can also add The Dictionary Hostel, The Generator Hostel, and Clink78. All of which have bars opening fairly late, entertainment games and and of course free Wi-Fi so you can Instagram it all. Where is it: YHA St Pauls is right by St Pauls and right next to my favourite Spa in the City; Ajala Spa. 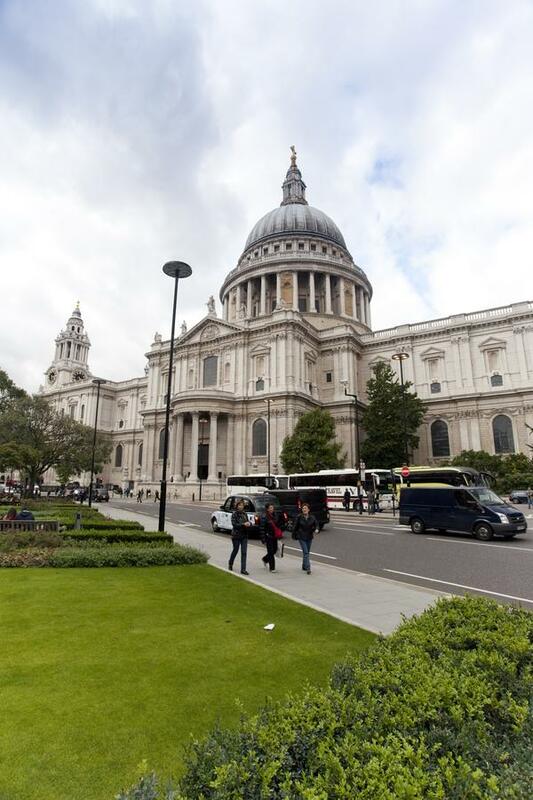 Among hostels in central London as you have a front row seat to St Pauls and the amazing views of the viewing platform. Just wear decent shoes as there are hundreds of steps in narrow spiral staircases to get to the top. The best hostels in London in many aspects in both access to and from the airport and London tourist sites. Access couldn’t be easier from Luton or Gatwick Airport. You have Blackfriars Station a short walk from the YHA Hostel, a line that serves both airports on either side. In addition to that, Liverpool Street is a short bus(unless you want to walk about 20 minutes), which also has easy access to Stansted airport trains. So location couldn’t be better. I am a fan of YHA hostels and have stayed at a few of them. I love that they are alway close to depending on the activities in the city you want to engage in. I have stayed at a few while hiking and exploring UK’s countryside such as the beautiful South Downs with the white cliffs. This brunch is best located for anyone wanting to explore the city including, shopping, and theatres in London’s Westend End including and its night live nearby. For more on that with the party season firmly upon us check out my post on London’s Rooftop Bars for cocktails that come with a cool view. Also check out other YHA Hostels near by; Central, Thamesside, St Pancras and Earls Court. Why should I stay there, What tourist attractions are near this London hostel: You are right in the heart of London here. You have St Pauls Cathedral a few steps literally. You also have Tate Modern and the beautiful Millennium Bridge close by, not to mention the New Change Shopping Mall with Madison Bar offering great views of London(a must see – it’s also FREE!). Check out my post on 5 Spots In London offering great views in the city. With the Westend Shows in close proximity, that means you are also close by for Somerset House’s famous ice rink during the Christmas holidays. You have London’s Shopping mecca that is Oxford Street nearby. London Southbank, London Eye, Trafalgar Square, Covent Gard and Buckingham Palace and close by too by walking or a super short bus ride(providing London’s traffic isn’t in full effect). Where is it: Located behind Waterloo Station and a short walk from Lambeth Station. Again location couldn’t be better here as you are literally a short walk from London’s popular attraction that is Westminister Bridge and Big Ben aka Elizabeth Tower. They have free breakfast, free safe storage for valuables, lockers in all the rooms, free towels, free printing of tickets(for travel). Prices start from £14.50 for a bed a small price for one of London’s best-located hostels. For the location, you would think prices would be high but as I mentioned London hostel prices even in prominent locations are still reasonable. If they are sold out you also have Pub Love – The Steam Engine Hostel a short walk away with same amenities. Also coming in from Heathrow Airport is super easy. Piccadilly Line brings to Holborn and from Holborn is a short bus ride to Waterloo station and then a short walk to the Walrus Hostel. 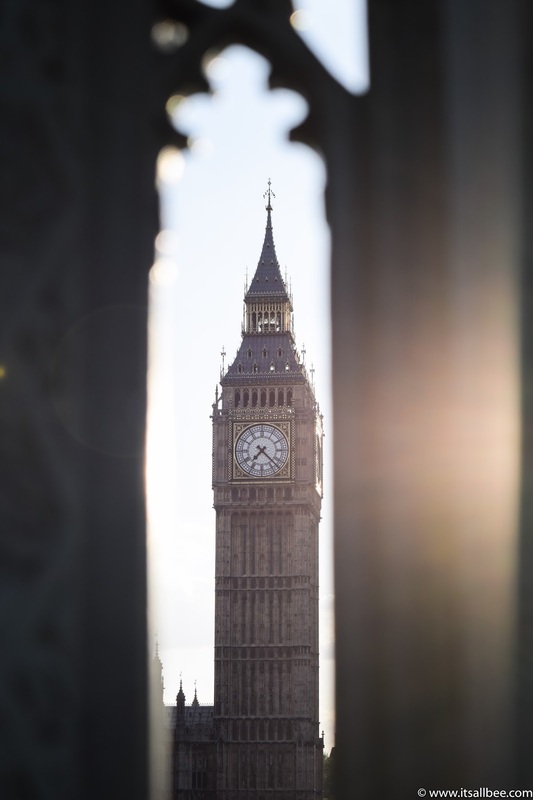 Why should I stay there, What tourist attractions are near this London hostel: Almost every tourist coming to London has Big Ben on their list of things to see and do in London. The location of the Walrus Hostel and Bar is close to Big Ben, London Eye, Trafalgar Square, Piccadilly Circus, South Bank are all within earshot. London’s Westend Theatres are close enough to walk to, in addition to London’s Oxford Street and Bond Street shopping mecca making this hostel perfect whether coming for a shopping visit, seeing a Westend Show or just exploring the city. For great deals on theatre tickets check out Love Theatre. Buckingham Palace and St James’ Park are also with in walking distance or 3-5mins on a bus. Transportation and tourist sights are in abundance from where this hostel is located. If you are up for a cool experience check out the afternoon tea served on a route master while exploring London. It passes through Westminster and Knightsbridge where you will find London Musts-Sees such as Harrods and Harvey Nichols. If you are also in the city for the galleries, bars and nightlife then you couldn’t be in a better location. Check out Cubana which is a short walk from the Hostel and turns into a Salsa club on Fridays and Saturdays with Cuban Salas and great Latin Music. The Westend nearby has bars and clubs in abundance or if you want an easy night, there are performances, bars restaurants on Southbank together with food stalls, but also perfect for romantic evening walks if you want to impress a partner with ease. Hayward gallery, Southbank Center and National gallery are also on Southbank together with a great market right next to the galleries that do amazing food from Vegan, fry-ups to home-made jams. Where is it: If you are looking for hostels in London near Victoria Station, this one is perfect! Located close to Pimlico Station you are in a fantastic location with great access to Victoria’s coach station and London attractions. You have free access to PCs, free printing, £1 breakfasts, onsite ATM, free safe storage, 24hr reception and many more freebies and prices start from as little as £19. They have a few branches in London so you are always in with a chance of a stay at one of London’s best-located hostels in the city. Their brunches include Queensway, Belgravia, Hyde Park, British Museum to name a few. The hostel is also within reach of London’s Victoria coach station offering easy access from many parts of the country to easy coach rides from airports. Why should I stay there, What tourist attractions are near this London hostel: Within walking distance to Tate Britain and a short bus ride from Buckingham Palace, St James’ Palace in addition to London’s popular sights like Big Ben, London Eye, Number 10 Downing Street, Oxford Street Shopping, Trafalgar Square and a great many cafes and shops nearby. You are also within a short walk to the riverside making it super easy to walk the Thames Embankment for riverside views and tourist attractions. Also a short walk to the riverside’s duck tours that explore both river and road. Where is it: Set in a Victorian ‘flat iron’ building offering a traditional country pub stay in the heart of London. Publove hostels have some of the best-located hostels in the city. Such as the Publove in Waterloo with Big Ben, London Eye, Trafalgar Square and Theatres in the Westend all within walking distance, you will save money on transportation too. Others include Publove Paddington, Battersea, and Euston. The location of the Victoria Pub Love hostels also comes with a legendary pub quiz held on Tuesdays with locally sources drinks on tap too. London hostel prices for Publov hostels are fairly reasonable. This brunch, beds at the hostel start from as little as £13.50 and comes with an onsite pop-up award-winning burger kitchen, 24hour reception and open bar, Free Wi-Fi, security bed screens, individual power sockets and guest food and drink discounts. 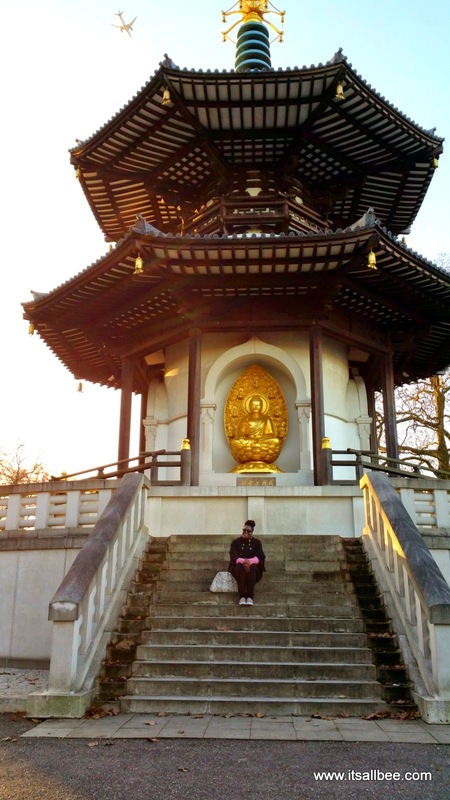 Why should I stay there, What tourist attractions are near this London hostel: Within a short distance you have access to another one of London’s beautiful Parks, this comes with the beautiful Peace Pagoda in Battersea Park. You also have London’s beautiful Albert Bridge which is just stunning once lit up in the evenings. Also makes a beautiful backdrop for a romantic walk on the river bank. Not many tourists get to see this part of London so in addition to saving money with hostel accommodation you also get a great romantic setting if you are bringing a partner for a weekend romance that doesn’t break the bank. 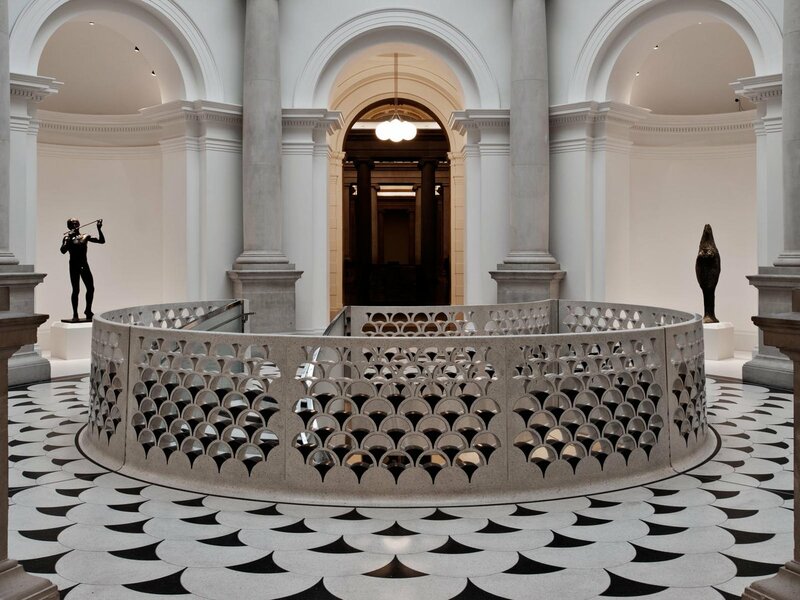 Tate Britain and many riverside activities are also not far from the hostel. Where is it: You are right in the heart of the Westend with this Hostel. With easy access to transportation when Bayswater station is just a short distance away from galleries and shopping. Perfect for those looking for hostels in London near Hyde Park. Considering the great location of the hostel, if the rooms are sold out also check out Smart Hyde Park Inn Hostel nearby. Both are set in beautiful Victorian Townhouses. With beds starting at under £10 you really can’t get a better deal than that. The hostel offers self catering facilities, washing machines, 24-hour reception and is in a great location. Seriously what more can one ask for? The hostel offers great value for money and is within walking distance to many tourist sights. This if also great if you are looking for the best hostels in London for partying as you are close to the westend with plenty of casinos, bars and nightclubs. Why should I stay there, What tourist attractions are near this London hostel: Why stay here? Well, the Beautiful Hyde Park is a short walk away and with that comes Kensington Palace, scenic Serpentine lake, Princess Diana Memorial Fountain, the beautiful Italian Gardens in Hyde Park. You also have London’s shopping that is Marble Arch nearby stretching into Oxford Street. Also within easy reach is Notting Hill for London’s Instagrammable colourful streets of Notting Hill and Portobello Road, not to mention Portobello Market itself which is unmissable if coming to London. Head over to my post on why you cannot miss a visit to Portobello Market when you visit London. Have you stayed at any of these hostels or any London hostels that you have stayed that should have made the list? Any others of the best and cheapest hostels in london we have missed? Thank you so much for the list of hostels in London. I am wondering if you can help me find hostels in London near Hyde Park. Also, do you know if this is also close to Oxford street? Hi Salim, Hyde Park sits on the very edge of Marble Arch which is along the long stretch of Oxford Street and all the cool shops we have in the Westend. So if you look at the hostels I have listed near Oxford Street as well as hotels near Hyde Park you will be pretty much within that area. Have a look above as I have provided a link to addition hostels in London near Hyde Park so you can choose one for your budget as well as one that has good reviews. Have a great visit. Loving your blog!! I have been sponging off your content as we plan our trip to London. We are planning on visiting friends in London and want to stay as close to them as possible. Not sure if you have any specific hostel in Bloomsbury London on your radar that come to mind that your can recommend. Awww. I am glad you are enjoying you are enjoying the content. I cant say any Bloomsbury hostel names spring to mind but that area of London will certainly have plenty to choose from. Use one of the links above as that will allow you to filter down to hostels in London’s Bloomsbury. All the best. We are looking for hotels in London Gatwick. Are there any good ones you can recommend please? Thanks in advance. Bee, Hmm I dont know if there are that many hostel within Gatwick but there is a capsule hotel nearby; Yotel. Also consider staying in hotels in London Victoria as this gives you easy access to Gatwick Express. Also hostels in London Kings Cross, hostels in London Bridge, hotels in Waterloo are all just fine as you are only about 50 mins train journey to Gatwick. Meaning you can still explore London and still have easy access to Gatwick Airport. For example, if you stay in hotels in London Kings Cross, you can catch the Thames Link direct train to Gatwick in 45 minss. For hotels in Victoria the Gatwick Express is about 30mins to Gatwick and if you are staying hostels in London Bridge the same train coming from Kings Cross stops at London Bridge. If you stay at hostels in London Waterloo you can catch a train from Waterloo station and change at Clapham Junction to Gatwick, I do this journey a few times a week as my current project in on the other side of Gatwick in Crawley. So this journey is again about 45 mins. So you have plenty of options to choose from so you don’t necessarily need to stay so close to Gatwick unless your flight is ridiculously early. I hope all this helps. Man, such a great list of places to choose from. I actually didnt realise London hostels had plenty of options so close to all the cool places to see in London. I was actually looking for hostels in Bayswater London, are they any specific one spring to mind that you can recommend? Hector. I am please you love the list of hostels I have put together but I am afraid nothing specific comes to mind for hostels in Bayswater but check out my link above as that will give you the full list of hostels in London then you can filter down to Bayswater and then arrange it by reviews and ratings to help you narrow down a particular hostel in London’s Bayswater. All the best with your search and enjoy our city! Would you recommend any particular hostels in London for adults, preferably hotels in London Central? Jonathan, I dont know if I can recommend a particular hostel specifically for adults. Majority of hotels in London are booked by a mix of people but majority of them I have found to be adults anywhere so your won’t have many problems there. I have provided details to hostels in London Bridge area as well as those near Waterloo and hostel in London near Victoria. All of those are fairly central and give you plenty of access to London’s tourist attractions as well as quick access to the airports too. Hope that helps. Hi Terrek. You might want to consider looking at hostels in London Kings Cross as you have access to the Piccardily Line which is on the underground tube with Heathrow is on. Also you can check out hostels in Paddington but bear in mind that even though you have access to Heathrow Express, just factor int cost of that express ticket in your expenses otherwise you still have easy access to the Piccadilly line to get to Heathrow. This way you can explore the city and still have access to airport links. See above for my links to hotels in Kings Cross and Paddington area. I absolutely love this post and your blog! We have been debating whether to book one of the hostels in Camden versus a couple of hostels in London Bridge. This makes the task super easy as we were actually trying to figure out where to stay in London based what London attractions we want to see during our visit to London. THANK YOU!!! Yamsin. That makes me happy to read that I helped you in deciding where to stay. Yes, both of those are great areas to stay in London. Look out for my post on things to do in Camden Town if that is were you end up. Otherwise my post on a one day itinerary for London covers things to do in London Bridge and central London so if you end of choosing one of the hostels in London Bridge then that might also be a useful post to help your explore. Hi Bee, we visiting London for 5 days and want to keep our costs down as much as possible. Which one of the hostels in london would you say are the best hostels in London for college students? I am going to be traveling as a group of 4 if that helps. Larson, there are plenty to choose from. Most of the hostels offer an option to book the whole room which would probably ideal for you as you also get to have privacy in your room as a group. Check out the options above where I mention hostels with private rooms in London. These probably would be more beneficial in terms of hostels in London for college students as you are traveling as a group which also means you get to have the private room as well as keep costs down compared to what you would spend on hotels in London. Oh my god, thank your for putting together such a detailed post of hostels in London. We are visiting London in January and thought we would be resigned to staying in some faraway hostel. I didn’t realise there were so many hostels in London so close to the tourist attractions. We are going to be staying in London for only 3 days can you recommend the best places to stay in London for tourists to get the most of the tourist sites? We are can’t seem to decide which one is the best hostel location in London for our trip. Hi Michmt, I have recently published a post on the best areas to stay in London which might help you pick a location in London to may the most of your 3 days in London. Also the above, I have tried to make is as detailed as possible so as to make it easier to find the best youth hostels in London whether its for solo travellers or whether you are in London for a short visit. Hence I have included the tourist attractions close to the hostels as well. Hopefully, that helps you narrow down a place. So many options and I’m really lost here. We cant seem to decide between London YHA Oxford Street, YHA London Kings Cross and YHA London Central. We are visiting London in December. Can your recommend the best places to stay in London for first time visitor between those 3 hostels. Also which one of them is close to tourist attractions. All three of these are central London hostels. If you are looking for shopping then the Oxford one is perfect but also is not too far from Piccadilly Circus, Trafalgar Square, Big Ben, and stuff. The YHA Central on gives you access to Tower Bridge, St Pauls, Tower Castle, The Shard… etc. Kings Cross is still in a great location although not immediately close to tourist attractions but you have Eurostar train close by giving you easy access if you want to combine London and Paris. Also, the British Museum isn’t too far as well as the Regents Canal. So either way you cannot go wrong with any one of those. I’m planning to travel to London next summer and will have consider staying in a hostel. I had been planning to book a series of Airbnbs to stay in, but these sound like the most cost-effective option. I’m a bit hesitant about shared living arrangements, but perhaps I should be more adventurous and give it a try. I just wasn’t sure if the best cheap hostels in London would offer me as much comfort for my small budget. These definitely look like great options. Thank you so much for putting together. Hi Sam, you are welcome. Yes, its always difficult trying to find budget accommodation in popular and expensive cities such as London but luckily there are plenty of options. Also London has some of the best best hostels in London for solo travellers so there is always some things pretty cool as well clean and affordable. I am so glad you found the post useful. I hope you enjoy your London visit when you do decide to come. Nice! St Christopher’s Inn it is. I love where it is located and I like that it’s quite affordable and also looks great. Your London Hostels list is really helpful and it’s cool to know that a local has made finding a good place to stay in Lonson very easy so one doesn’t have to worry about that when coming for a visit. 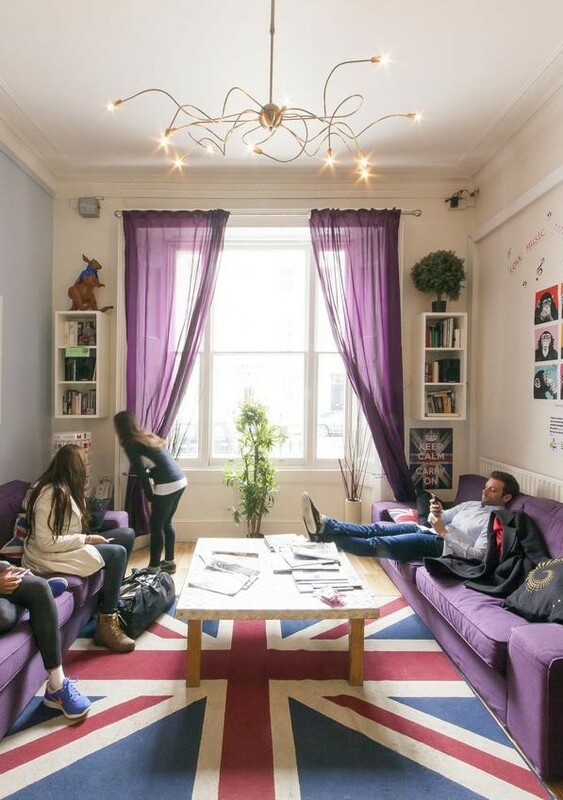 Such a great list of London hostels. We have actually been searching for the best hostels in London for partying. I am so glad I came across your blog as we have been trying to figure out the best places to say in London without blowing the budget but also know that we would be without a short distance to tourist site. Thank you so much for this. Hi Belinda. I am very glad you found the post useful. As a traveller myself, I am always looking to answer as many questions I would have about a place to stay in cities that I visit. All the best. Wonderful site. I am visiting London with friends just before new years and we are after the best London party hostels in the city? Can you recommend any hostels in London for partying or near bars and clubs? Hi Maddie, perhaps the ones in the Westend as you would be close Leicester Square which is a place that never sleeps with bars, clubs and more there. I have listed a few hostels near the area without having to pay a premium for being in the westend. Any of the ones list in Waterloo would also be great as you are only a stone’s throw from the Westend. Hi Bee, we are traveling to London for a quick stop on the way to Thailand and want to ask if you can recommend any London Gatwick hostels or even London Heathrow hostels? Hi Indie, for Gatwich I know there is one or two right by the airport. As for Heathrow, you may find many that there are more options as there a many cheap hostels, bnbs and cheap hotels to surrounding the Airport. Check out booking.com for options on both. We have been after hostels in London for students but didnt realise there were so many great options in London. We are looking at a couple of London hostels in Victoria and the hostels in Camden. Thanks for putting this list together. Hi Jerlene, yes there many amazing hostels in London for students. I absolutely love both Victoria and Camden. I am sure you will enjoy your stay. LONDON BABY! The city that has it all; Amazing history, beautiful architecture, top grub, awesome shopping, immersive exhibitions, charming parks and banging nightlife. But it’s so HUGE, where do I even start, and most importantly, where to stay in London?! I love that to you’ve put together a list of the very best hostels in London to bunk up after a busy day exploring the big, bright capital. Thanks! Sounds like someone is really excited about visiting London. Hope you find yourself a lovely hostel in London to stay in. Enjoy your visit to London. Wow, I didn’t realise there were so many options in London. We were after hostels in London near Kings Cross station now have so many options open to us. This is amazing. We may have to consider hostels in London Covent Garden or even hostels in London near Hyde Park. So cool. Thank you so much. Your blog is amazing! We are visiting London for a bit of shopping but wanted to save as much money as possible. Where would you recommend we stay? Hi Coleen, have you thought about Hotels in London Oxford Street, Hostels in Piccadilly London or hostels in Knightsbridge London. All these areas have amazing shopping areas. Westend is one of the best retail therapy areas. We would love to stay fairly central and wanted to ask if you can recommend any hostels in Chelsea London or hostels in Bloomsbury London. I hear these are some of London’s best trendiest places to stay. Is that true? Hi Koffi, I guess you could say they are trendy so expect to pay a little more staying in these areas. Hi Bee, we are visiting London for a few days and wondered if you can recommend any hostels in London Gatwick. We would love to stay in London but thought it might be best to stay close to the airport. What are your thoughts on this? If that is for the duration of your stay I would recommend you stay in central London and then move to the Gatwick option close to the time you leave. This is because you will waste a lot of money on the train journey to and from Gatwick hostel daily. Best you maybe look into hostels in Battersea London, hostels in Kilburn London as there some cheap options there too. This is an amazing list. I am visiting London on a budget and would love to know if you can recommend hostels in Peckham London or hotels in Richmond London. I hear that I might be able to find cheap hostels in these parts of London. There are so many amazing options for hostels in London. I stayed at one of the hostels in London Kings Cross. I am visiting London again in March. I had no idea there were so many hostels in London central. Looking to check out more hostels in Chelsea London this time. Thank goodness to your post. Yeah, so many options. Chelsea is a great location to stay in London. I am sure you will enjoy your stay there. All the best. I have a short work gig in London and want to do London on the Cheap. Do you know of any cheap hostels in London Victoria Station? Hi Vigo, Yes there are a couple of cheap places to stay near London Victoria Station. I believe I listed a couple above as well as in my new post on cheap hostels near Victoria coach station. Hi Biance, we are visiting London for a short stay and wanted to thank your for your post as we have been looking everywhere for a post with not just hostel recommendations but also tips on tourist attractions near the hostels in London. We love your recommendations for youth hostel in London Piccadilly Circus and the hostels in London Kensington. The two places in London that we will be exploring more of. Thank you so much. Hey Benita, I am so glad you found that helpeful. There are so many amazing hostels in London to check out from Waterloo, Docklands, Holland Park and more. I am so glad you managed to find what you were looking for. All the best with your stay in London. Man some of these hostels look super trendy. I have never actually stayed in a hostel before but I am coming to London in September and I am already looking at ways to do London on a budget. I would love to visit East London so I am looking for cheap hostels in Shoreditch London. Can you recommend any cheap hostels in East London? Hi Irina. 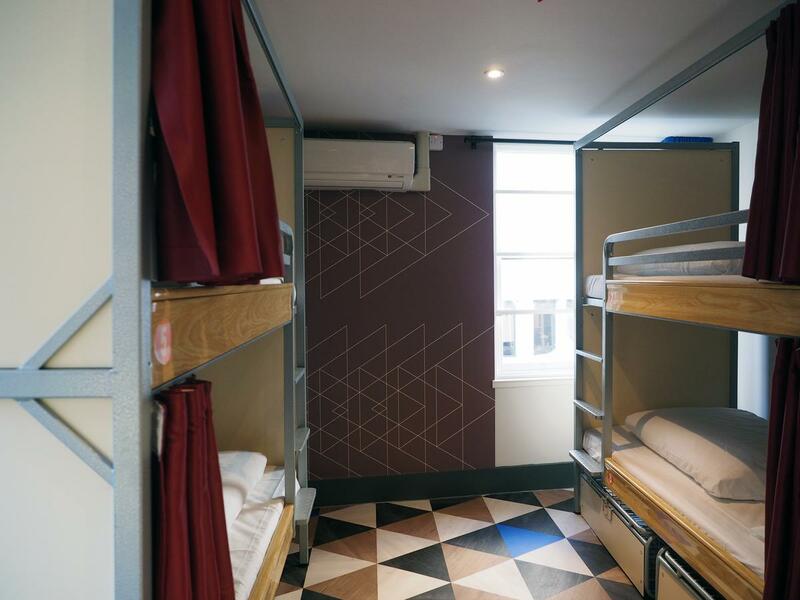 Yes hostels are no longer places that are dull places or places just for under 18s. Families also use hostels. There are plenty of hostels in London to choose from. I listed a couple of places near east London, also the ones in Liverpool Street and London Bridge are also doable as they are close to East London too. 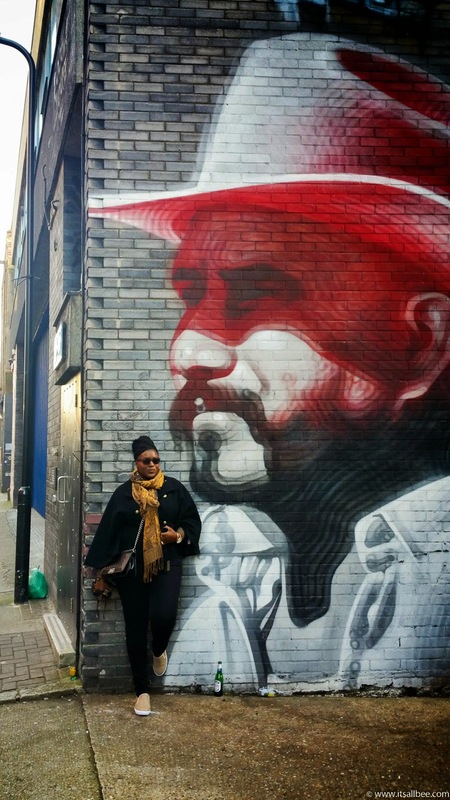 I also have a post on cheap hotels in Shoreditch London. I am visiting London in June and have been going back and forth on cheap hostels in London. I had no idea there were so many amazing hostels in central London alone. I have been trying to figure out the cheapest youth hostels in London and its been really hard trying decide on what area in London to stay. I have been considering cheap hostels in Bayswater London, hostels in Kensington and cheap hostels in near London Eye. Still cannot decide. Can you recommend the best youth hostels in Lonon for under 18s? Hey do you know of any hostels by YHA in London Rotherhithe?